In August the Kurskaya nuclear power plant produced 2.475 billion kWh electrical energy, overfulfilling the plan by 3%. The consumers received over 2.294 billion kWh, which exceeds the planned parameter by 4.6%. The installed capacity utilization factor comprised 83.18%, while the planned parameter was 80.61%. The total amount of electrical energy produced by the Kurskaya NPP since 1976 is 738.774 billion Kwh. 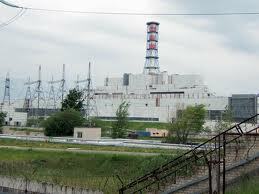 At present the Kurskaya NPP has generating units # 1,2 and 4 in operation. They are functioning at the capacity, set by the dispatch schedule. The generating unit # 3 has been undergoing the scheduled capital maintenance since September 1 this year. The radiation background at the nuclear power plant and the adjacent territory is at the level, which complies with the normal operation of generating units and does not exceed the natura; background parameters.